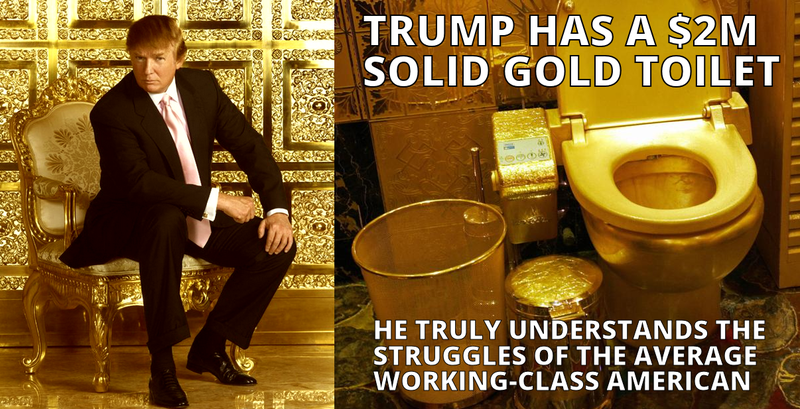 When a series of golden toilets have begun popping up around Indianapolis and Muncie, Indiana nobody was entirely sure what exactly was going on. It was clearly political, each toilet and “Take a Trump!” written on its tanks but who had created and placed the toilets and why was a mystery. Under the lid of each toilet is an image of a pig wearing a crown, apparently inspired by George Orwell’s Animal Farm. Art Finksters began after seeing the women’s marches after Trump’s inauguration “I contacted almost 100 people, and almost everybody was on board,” said the spokesperson. 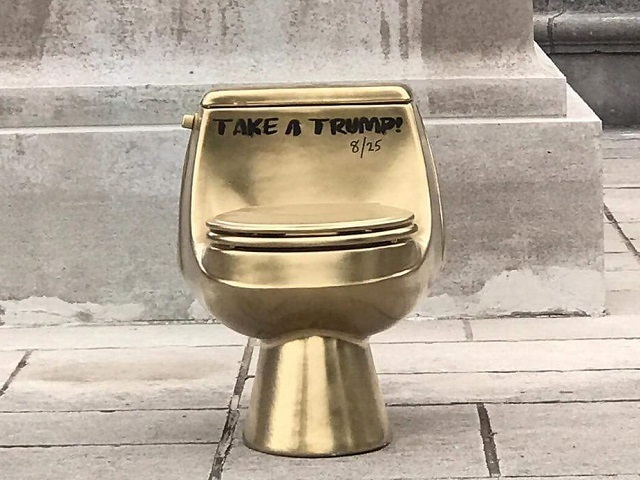 He posted each participant “Take a Trump” and pig stencils along with instructions to place the toilets in high foot traffic areas that would get lots of photographs and inspire conversation. Studies are now showing that 7% of all Americans believe chocolate milk comes from brown cows.